Mother’s Day is approaching, so it’s time to plan ahead and really spoil your Mum with some well-deserved (and needed) pampering from SK! Your Mum WILL thank you for it! SK has put together a selection of packages for your to treat you Mum, including a couple that allow you to enjoy treatments with her! The highly-popular Mother & Daughter packages offer you and your Mum something completely special. Enjoy quality time together experiencing some exceptional treatments with a 20% discount just for Mother’s Day. Don’t forget SK’s wonderful dual treatment room, which allows you and your Mum to experience these heavenly packages. 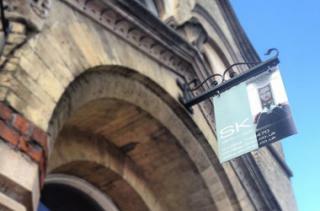 However, if you would like a bespoke package, the team at SK can tailor-make affordable packages to suit you. If you have left things to the last minute (trust us, we all have at some point!) SK offers fantastic E-Vouchers, including exclusive Mother’s Day vouchers for the packages mentioned below. The vouchers are for two people, purchase on the SK website, receive your stunning, personalised e-voucher immediately via e-mail, and simply print off at home! Voila! A Mother’s Day present in minutes. For more information about our Mother’s Day packages, please contact the SK spa reception team on 01284 748470. Alternatively you can view the packages here.